What are the Best Job Board Sites? 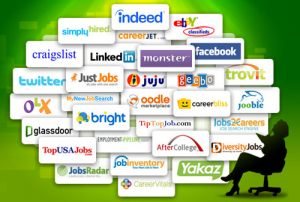 Avoid aggregators – search engines that scour job postings to list them all in a convenient place. Trouble is – by the time you see it, the employer is likely to have already begun interviewing. The chances of anyone seeing your resume are slim to nil. SimplyHired is an aggregator, and so is Indeed, although it’s also among the best job board sites. Job boards, as opposed to aggregators, are sites where employers post openings at their company, and often where recruiters will post openings that they’ve been hired to fill. Among the best job board sites are Glassdoor, LinkedIn, Indeed, ZipRecruiter, Careerbuilder, and Monster. According to a study conducted by Reviews.com, Glassdoor is the best job board site overall, with Indeed and LinkedIn ranked right behind it. Indeed is the most inclusive job board, including contract positions, work-at-home jobs, summer jobs, and even volunteer work, according to UnderCover Recruiter. However, when I was running global Human Resources, I posted most of my openings on LinkedIn, because of its global reach despite the hefty price. Dice was my favorite for some types of IT positions. But here’s why LinkedIn is among the best job board sites for your search. Recruiters mostly hang out on LinkedIn; when they scour social media for passive candidates, LinkedIn remains their go-to site. Why? Well, it’s not only because literally everyone has a profile on the site. No, LinkedIn’s strength is facilitating networking, and as everybody should know, networking is how people actually find jobs. I’ve written a lot about how to network on LinkedIn – here as well– but here’s a quick synopsis. Connect with everybody you worked with at previous companies, went to school with, and know socially. This gives you access to each of those individual’s entire network, and those are the people who will get you hired (these folks are your second degree connections). Once you connect, stay in touch. Then, follow people who are in your industry, or who work at your target companies. Don’t be a passive follower; comment thoughtfully and intelligently on their posts and updates. Pretty soon, you will become known on the site for your expertise in your field, which makes it easy to go offline and talk to someone about an opening in their field. If you see a job posted on another job board, simply type the company’s name into LinkedIn’s search bar, and it will populate with the profiles of everyone at the company. You’ll see right away if you have any second degree connections who work there, and if you do, you’ve hit gold. Contact that individual mentioning the person(s) you have in common, and ask for their help in getting your resume to the hiring manager’s attention.